The Front Yard Recognition program has new dates and a new look! Sherwood Park has been divided into four areas and each area has a Captain to oversee placing signs and evaluating the yards. Our new signs are very distinctive and carry the theme "Cultivating Community". Thanks to Strathcona County staff for their assistance in creating them. Last year at our banquet, Beth challenged everyone to nominate a yard. Nominations can be made at www.strathconainbloom.com, blooms@strathcona.ca or by calling 780-464-8287. Volunteer opportunity: If you have a few hours available to place signs and evaluate (yes, you are all qualified) nominated yards, please email Beth at rhunt@telusplanet.net. It is a great way to see neighbourhoods of Sherwood Park that might not normally visit. Leesa and Beth met with all Strathcona County greenhouse owners in preparation for the coming season. The purpose of these visits is to connect personally with the greenhouse owners, to review our purchase sheets and to thank them for their support. Estate Gardens Greenhouse, just south of Wye Road on Range Road 224 is a new addition this year. The Bed Captains have met to discuss planting plans for this season. Our new t-shirts were handed out. There will be one more Bed Captains meeting before planting and the new signs will be distributed as well. Planting Week is the 1st week of June! Thanks to all of our Bed Captains for their work in planning the beds, getting the plants and organizing the planting times. Thank you to all who plan and make neighbourhoods bloom! Our President, Beth Hunt made a presentation to the Sherwood Park Garden Club. Her co- presenter was Cliff Lacey, a Communities in Bloom national judge. Cliff also had an integral part in Strathcona in Bloom for many years. Strathcona in Bloom is approaching it's 20th anniversary and we are collecting memories, stories and general information about the last 20 years. With so many long-time volunteers, our history of supporting the community is strong. We would like to acknowledge and celebrate that history. Please contact Pat at phanlan@shaw.ca with a history of your bed and the volunteers to tend to it. This year, we have a new look for Strathcona in Bloom. Your Bed Captains will have your new t-shirts. Logos, signs for beds and the Front Yard Recognition signs have all changed as well. 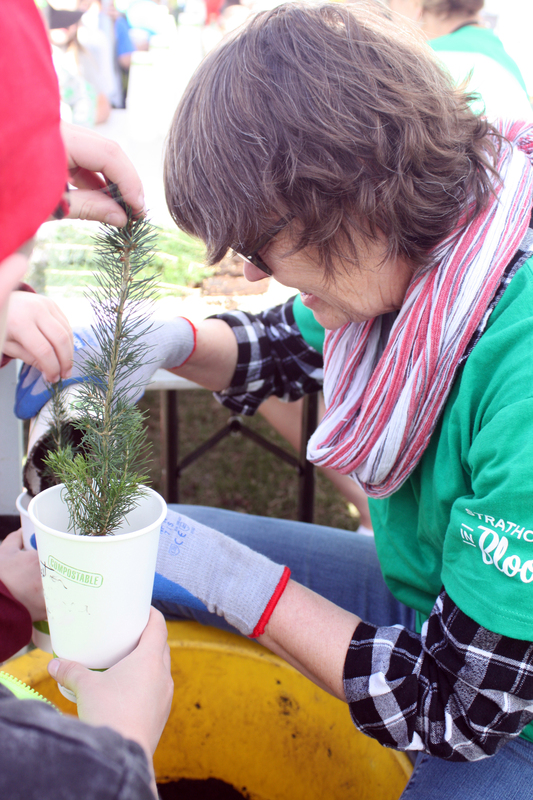 Our Community Recognition program is designed to recognize businesses, organizations and groups that are contributing to making Strathcona County a visually vibrant and welcoming place. Each nomination will receive a sticker for their front door and a letter of congratulations. As you go about your daily routine, please make note of and nominate any group that has gone to the effort of placing flowers or greenery at their entrances to welcome you. Mark June 1st on your calendar and join a Paint Night in support of Strathcona in Bloom. Next Step Continuing Education is offering this opportunity. Time and location: Common Ground Cafe, 6 p.m. to 9 p.m.
To register: 780-467-7292, www.eipscontinuinged.ca or visit the Salisbury High School office. 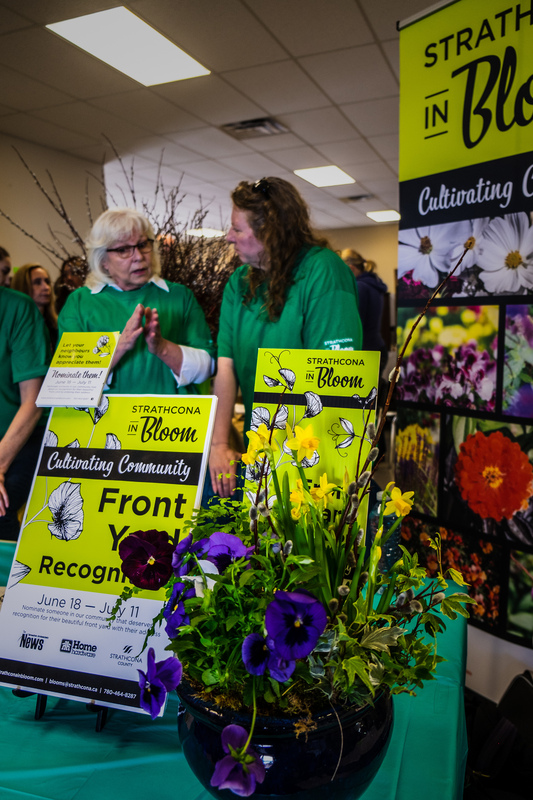 Strathcona County will be hosting the national and international Communities in Bloom Symposium from September 26 to 29. We will have an opportunity to be involved with this event. Please save the date of September 29.